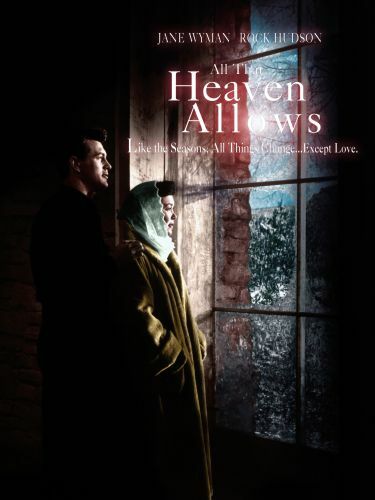 One of director Douglas Sirk's best and most successful romantic soapers of the 1950s, All That Heaven Allows is predicated on a May-December romance. 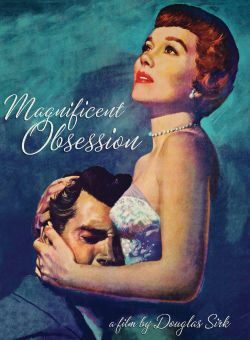 The difference here is that the woman, attractive widow Cary Scott (Jane Wyman), is considerably older than the man, handsome gardener-landscaper Ron Kirby (Rock Hudson). 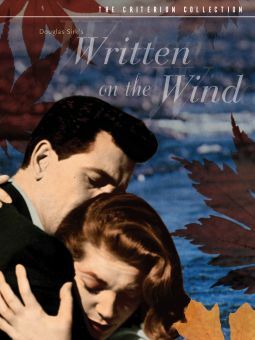 Sirk builds up sympathy for Cary by showing how empty her life has been since her husband's death, even suggesting that the marriage itself was no picnic. 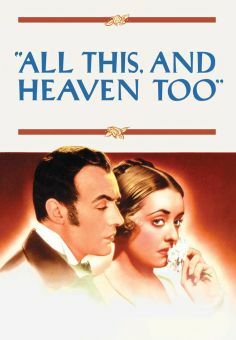 Throwing conventionial behavior to the winds and facing social ostracism, Cary pursues her romance with Ron, who is unjustly perceived as a fortune-hunter by Cary's friends and family--especially her priggish son Ned (William Reynolds). 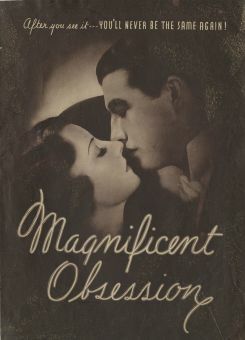 Amusingly, Conrad Nagel was to have had a much larger part as Harvey, an elderly widower who carries a torch for Cary, but his role was trimmed down during previews when audiences disapproved of an implicit romance between a sixtyish man and a fortysomething woman! 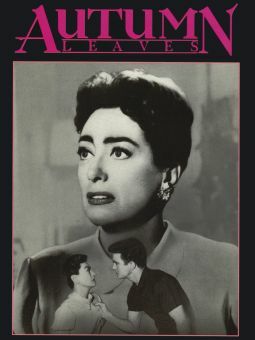 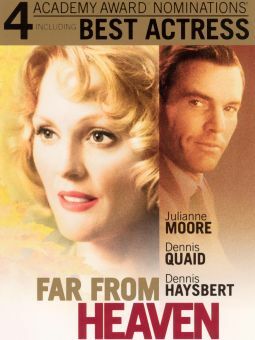 All That Heaven Allows was remade by unabashed Douglas Sirk admirer Rainer Werner Fassbinder as Ali--Fear Eats the Soul (1974), in which the age gap between hero and heroine was even wider.